GenealogyBank is your best source for finding old marriage records. 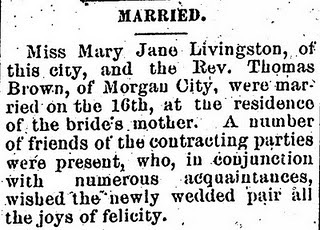 Newspapers regularly published marriage announcements – like this one from the Weekly Pelican (New Orleans, LA) 26 Oct 1889. The Weekly Pelican is one of the many newspapers that we added last week. 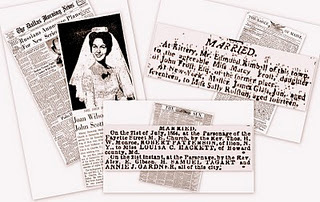 Whether you’re looking for a wedding announcement published in 1802, 1862 or 1962 – GenealogyBank is your most comprehensive source. TIP: Focus your search by the type of article. 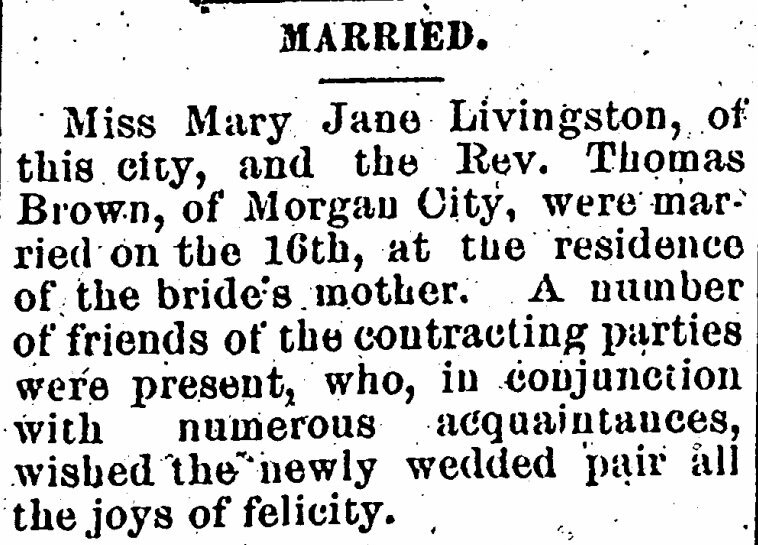 In this example in the Historical Newspapers section – limit your search to only the marriage notices. Click on the highlighted topic and only the wedding and marriage announcement articles will appear in your search – saving you time. 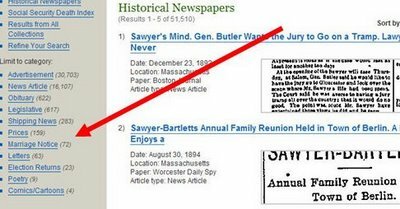 Find and document your ancestors in GenealogyBank – the best source for old newspapers & documents on the planet.